Ever heard of the ancient practice of Ayurveda? Originating from India, some could call it an alternative medicine or traditional herbalist practice. But in reality, Ayurveda was far more than that. In fact, Ayurveda could more so be called a “food as medicine” practice, a ritual applied in real life, every day. It didn’t just involve the daily consumption of healing herbs, but also nutrient dense foods and other health-boosting foods. Nevertheless, many of the favorite food-as-medicine herbs that were so popular in Ayurveda have been adopted into mainstream herbalism and natural health. 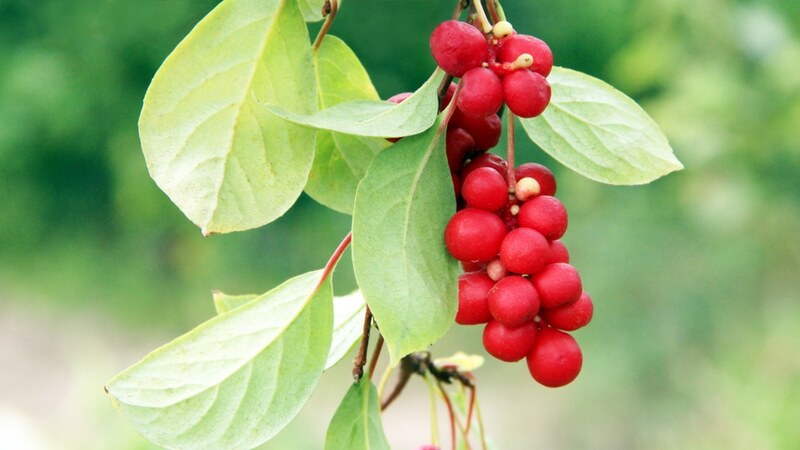 As a matter of fact, Ayurveda is the source for many of our most popular adaptogens, like schisandra, ashwagandha, and Siberian eleuthero. But we’ve also received some really unique gifts from Ayurveda, herbs that appear to do things for health that no other herbs can do. One of these amazing herbs happens to be bacopa. Bacopa (scientific name Bacopa monnieri) may be thought of more like an Indian or Ayurvedic herb, but it actually grows in many parts of the world. This includes southern tropical Asia and parts of the warmer United States, especially Florida and Hawaii. It’s a small, creeping vine that likes to grow in bogs, swamps, and marshes. How people saw potential for it as healing medicine is beyond anyone’s guess. Still, healers of old plucked it from its damp home and experimented with it for health benefits. Needless to say, the results were astounding—enough that bacopa today has become a widely beloved health supplement, as well as a subject of interest among health researchers. 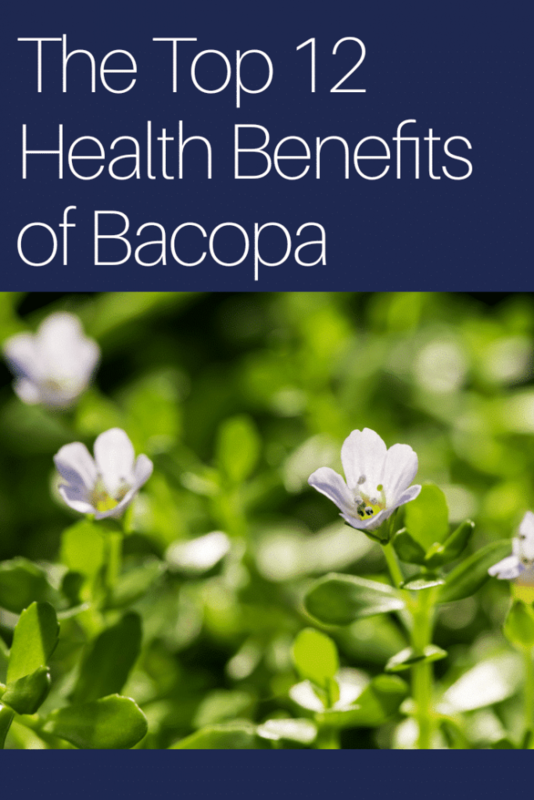 WHAT CAN BACOPA DO FOR HEALTH? What makes a humble little marsh plant so great? What exactly does it offer for wellness? This isn’t just based on ancient herbals or Ayurvedic texts. Scientific studies have explored and found much evidence to uphold some of these top bacopa health benefits and traditional uses, too. The greatest herbal-medicinal health benefit bacopa had of through all its Ayurvedic history— and the benefit the herb is most studied for today— has been for improving overall brain health. Brain medicine? Yes, that’s right. Back in the day, bacopa was a brain tonic. Today, this could earn bacopa the descriptor “nootropic.” Meaning: it amplifies brain functions. In old times, bacopa was prescribed (along with brain-boosting nutritious foods) for any conditions related to brain function, the nerves, and even mood disorders, emotional problems, and disturbances. A modern review supports this, acknowledging the herb as a potent nootropic—and a wonder of modern science for the brain. So, boosting brain health—that’s a pretty general quality. And yet, this major benefit can actually be broken down into many other branches of health benefits. One of these branches is memory. Naturally helping memory problems is one issue that bacopa was commonly prescribed for in ancient Ayurvedic practice, along with a host of other problems. It helped banish forgetfulness as one part of its effects, apparently. Studies, interested in the claims about bacopa through history, have investigated if these benefits are true. One double-blind, placebo-controlled, randomized study showed that bacopa extracts actually helped boost both attention and memory, along with a whole network of other brain functions. Basic “cognitive function” is another claim ascribed to bacopa. Taking a few steps beyond memory, this means many other abilities of the brain to accomplish regular tasks could be enhanced with the help of the herb. Some examples: learning, multi-tasking, focus, processing, and more. One could say that it ramps up brain energy, in a way. This could possibly make bacopa a great tool for helping get rid of problems like brain fog, for example. However, more studies might be needed to explore that. That’s not to say there’s no scientific evidence thus far, though. One major review shows there is lots of evidence for cognitive enhancement, though they need more exploration to fully prove. On the other hand, some studies suggest cognitive benefits so remarkable, they could be beneficial for situations involving stroke or other brain damage. As we know too well, brain and nervous system health don’t just involve function. They also involve emotion and mood. When one gets down to it, emotion and mood impact brain function, too. Which, honestly, makes bacopa more important in a totally different sphere, as it can help conditions related to mood too—especially when it comes to helping depression naturally. When the brain is depressed, it can have an incredibly difficult time functioning normally. Studies show the Indian herb may have a positive influence on the mood disorder. In one particular study, test subjects weren’t vulnerable to symptoms like helplessness, apathy, or inactivity with bacopa’s help. Similar to depression, bacopa may also help with effects from stress. Like depression (though in slightly different ways), stress can have a hand in shutting down our brains from functioning at their very best. By association, this could mean bacopa may help with anxiety, too. One study showed the use of the plant’s extracts helped reduce cortisol levels, relieve stress, dispel anxiety, and improve mood in human subjects. Stress may lead to all sorts of other health problems, like digestive shutdown, low immunity, even adrenal fatigue or thyroid problems. According to tradition and science, bacopa may be directly good for stress’s effects on the brain, and—quite possibly—beneficial to these other health issues, should they arise. One has to wonder: how does bacopa even work? How does it have such great effects on the brain? Maybe ancient healers wondered this or had their own theories about it, too. In the meantime, science might have found the answer. Like many other healing herbs, bacopa is rich in antioxidants. 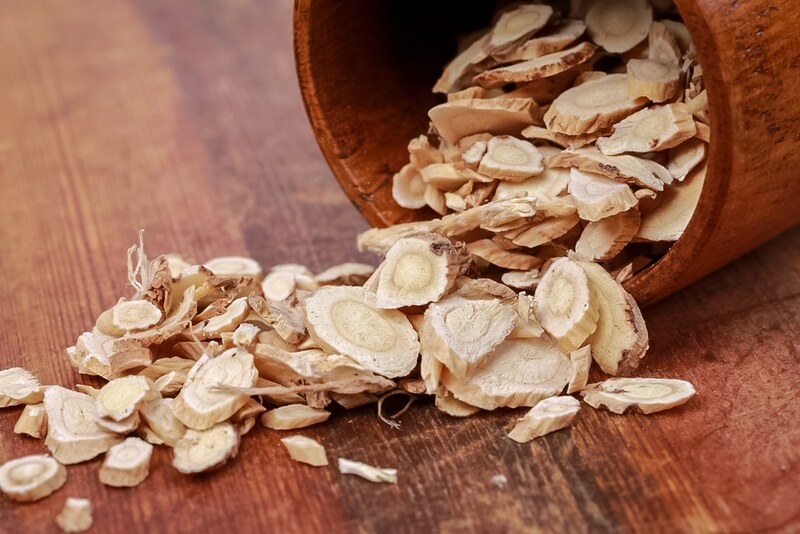 Depending on the plant, certain healing herbs and their antioxidants can have a certain organ or system they tend to target and heal: like milk thistle and the liver, or astragalus and the immune system. In the case of bacopa, one study suggests it’s its antioxidants that could be primed to help the brain. Fighting free radicals and reducing inflammation in the brain may thus account for its cognitive-, mood-, and memory-boosting benefits. On this very same note, bacopa in its own way may even help naturally with aging. Think about how aging affects the brain especially. Forget about just wrinkles: aging can bring on forgetfulness, confusion, and in the worst cases, senility and dementia. It can make it harder to learn and enjoy new things. Fortunately, bacopa may help anyone cope with this. One study even showed that bacopa’s antioxidants were prime for staving off oxidative stress that occurs in the aging brain. The very oxidative stress responsible for onset dementia, forgetfulness, and those “senior” moments. As such, bacopa could be a useful tonic, for both the young AND the old. Cognition, memory, focus—some of these, which seem like minor issues, can actually sprout into neurological conditions. When it comes to focus, take ADHD, for instance. ADHD (Attention Deficit Hyperactivity Disorder) involves focus issues. Hyperactivity and impulsivity are a part of it, too. Does an Ayurvedic plant medicine, such as bacopa, show any hope for supporting such a condition? Science says yes, apparently. One study put the herb to the test with children who had ADHD. In the study, bacopa extract helped alleviate symptoms improved restlessness, self-control, learning, and many other factors. Bacopa could provide a very hopeful outlook for people with ADHD, as all do not always respond well to pharmaceutical mainstream medication. However, more studies are needed to fully explore and support this theory. Besides ADHD, there are many other types of neurological conditions. Research suggests bacopa could potentially help these, too. Some examples include Parkinson’s and Alzheimer’s. One study on Parkinson’s revealed that bacopa helped protect against neurodegeneration that caused the illness. 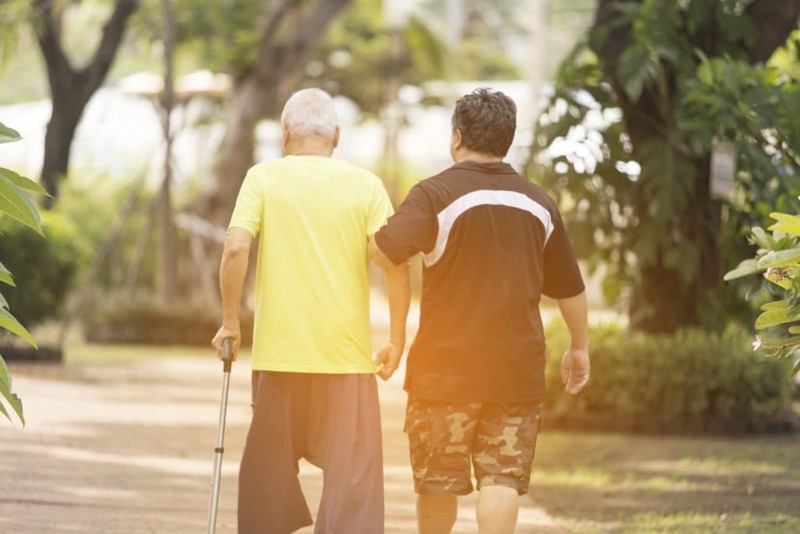 Another study showed encouraging and similar results in people with Alzheimer’s. So, besides helping only with slightly unhealthy brains, this Ayurvedic plant may also help neurological disorders that could cause those very same similar symptoms. More studies are needed before calling bacopa a remedy, of course. Despite what this article has laid out thus far, bacopa’s best qualities aren’t all about the brain. It can help other aspects of health, too. One of these aspects may be diet and blood sugars. More specifically: it could naturally support and reduce the risk of diabetes! This was outlined in a study where bacopa was given to test subjects with diabetes. The extract helped curb too much sugar in the blood, which is called “hyperglycemia.” Compounds in the herb behaved a bit like insulin, too. A replacement for diabetic medication? We think not, though scientists have a lot more to discover about the plant. Epilepsy can be a life-changing and limiting condition. It relates to the brain and nervous system but is not always easy to treat, or cannot always be treated directly. Could something like bacopa be supportive of this condition? Research has (and currently is) looking into the possibilities. One study turned up evidence that bacopa extracts have soothing effects on what are called “GABA receptors.” Decreasing the activity of these receptors could help reduce epileptic attacks. It’s no remedy or therapy yet, but it is ripe for plenty more study. Certainly not to be overlooked, bacopa could have a role to play in cancer support: reducing the risk of the disease, as well as supporting the disease if (and when (it takes hold). As an antioxidant source, this explains some of bacopa’s anti-cancer potential. More specifically, studies show that a very specific antioxidant found in bacopa, a “phytosterol” called “stigmasterol,” had anti-tumor effects. It even made the tumor in the subject shrink. 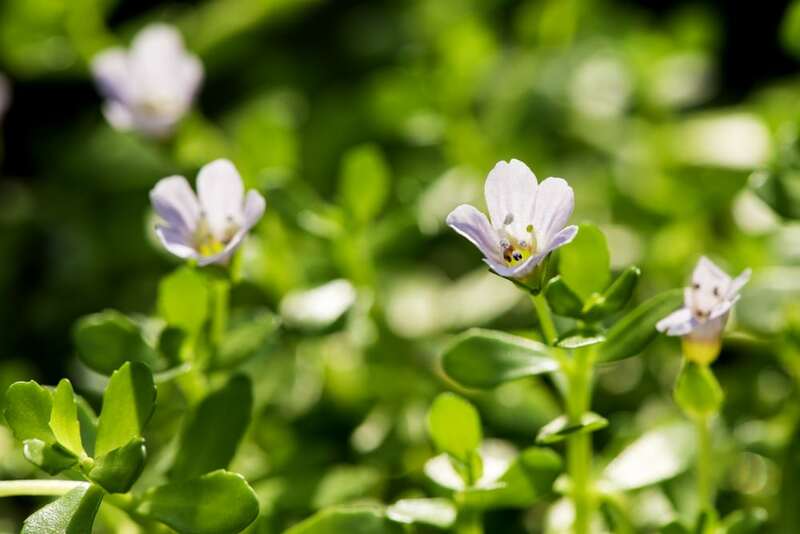 Far from being considered a cancer remedy in any way, it’s still possible that bacopa may be a part of the search for more natural cancer therapies for many more years to come. 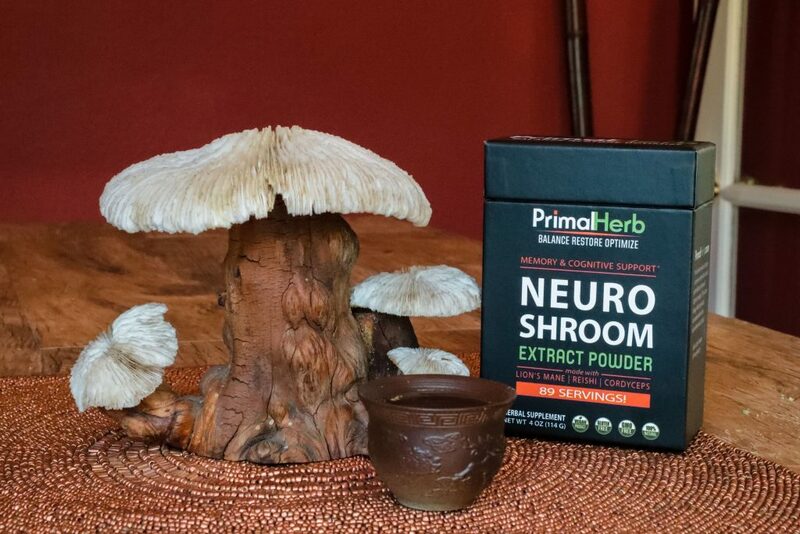 There are other herbs and mushrooms, not just bacopa, to try in our brain-boosting, cognitive enhancing Neuro Shroom Extract Powder. Experience all the benefits!